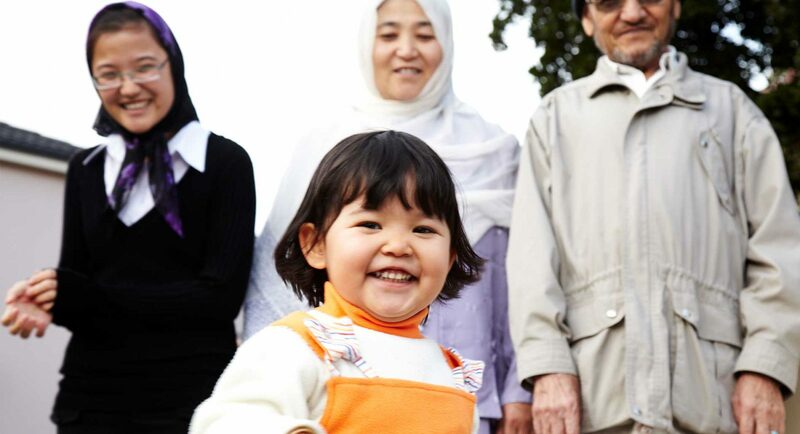 Smiling refugee girl with her family in Australian backyard. Amnesty International has researched and developed a set of recommendations for the Australian Government to implement in order to fairly and efficiently help people seeking safety. Help back these recommendations by adding your name in support, so that when we meet with key politicians, they know you're behind us. Refugees want what we all want – a safe place to call home, where kids can go to school, where we can explore our interests and contribute to our community. We’re a decent country. We’ve got it in us to show common sense and to solve problems. Both sides of politics have failed to deliver a fair, safe and orderly system for refugees. The government’s current approach isn’t helping people, and the secrecy and cover-ups tell us that something is wrong. This situation is our choice. The truth is we can build a safe and inclusive community while welcoming those who need our help. And we benefit from the contributions new Australians make to our community. We need a better plan for refugees. Will you back it? When people are legally recognised, have safe accommodation, can send their kids to school, and can work and access health services, they won’t be forced to make dangerous journeys to Australia. We can reduce the pressure on individual countries by working closely with the likes of New Zealand, Japan, the USA, Canada and others to ensure everyone does their bit. In addition to our main refugee resettlement program, let’s recognise the skills and qualifications of many refugees by allocating work, student and family reunion visas to them. When people know they'll be assessed in an efficient and orderly way, they are less likely to make a dangerous boat journey. Instead of hazardous boat push-backs at sea, we can run proper search and rescue operations to save lives.